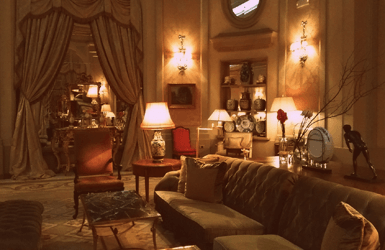 There are many “Palace” hotels in Barcelona, but only one is “El Palace Hotel”. And none of them (Avenida Palace, or Atrium Palace, or Petit Palace, or Cristal Palace, or Fira Palace…) has the charm of the real thing. Many of our guests choose to stay at the Barcelona Palace Hotel, and from their feedback, we know why they love it. If you are looking for a hotel in town, in today’s post we want to help you decide if the Hotel Palace is the right place for you. Centrally located, it is walking distance from las Ramblas, the Gothic Quarter and Passeig de Gràcia (one of the best shopping areas in the city and where 2 Gaudi apartment buildings are located). Right in the heart of the city! After a whole year of renovation works, since 2009 the hotel offers 125 luxury soundproofed rooms, carefully decorated in a classic style but perfectly high-tech equipped. Don’t miss the TV integrated in a mirror! Enjoy live jazz concerts while having a drink in its cocktail bar called Rien de Rien. Open from Tuesday to Saturday from 18h to 22h. Inspired by the Maya culture and Maya treatments and rituals, its Temazcal sauna makes the difference: volcanic stones are heated and watered with aromatic medicinal herbs to produce steam. For a mystic experience, don’t miss the Temazcal Mayan Rebirth Ritual to purify your mind, body and soul inside the sauna. The prestige of the Palace Barcelona hotel is accentuated by their own Michelin star restaurant, run by chef Romain Fornell. He was the youngest French chef to be awarded one Star and the only one to have a star both in France and Spain. His dishes are based in Mediterranean cuisine with a strong french influence. He describes himself as a chef with a deep french roots, very creative and with a great respect for the product. The restaurant wine list includes over 400 wines from around the world. A pleasure for the palate. Barcelona is a city of trendy hotels. It’s actually hard to find one that honors its European roots and has kept its original classic style. 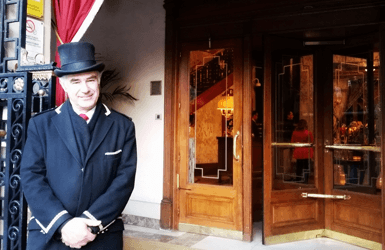 So if you love good old-school hotels that take you back to the early 1900’s, the Hotel Palace is the only classic hotel with 5-star category. Elegance and style meet together to offer the perfect atmosphere to relax after your sightseeing. So what about you? 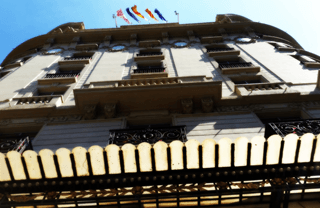 Head to the comments below and tells us: have you ever stayed at the Barcelona Palace Hotel and how was your experience?